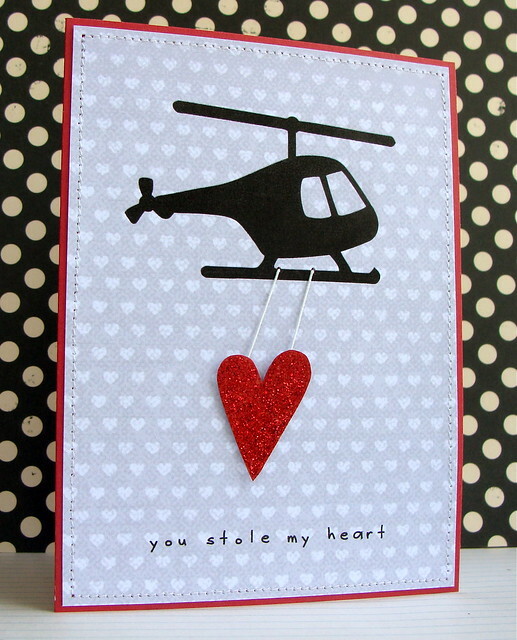 I made this card for fun, using Hero Arts Kiddie Conveyance digikit - it's so CUTE. I had this plan as soon as I saw the kit :) I thought it would make a sweet card for a little boy (or my husband!). And because I know someone will ask, the font is called Justy and is free to download HERE. Hope you are enjoying your week -I love Wednesday - it's closer to the weekend... Yay. What a fun card. I like the font too, thans for the link. Oh wow! How cute is that?! super idea!! such a cute card! love it! What a fun card, Lucy! 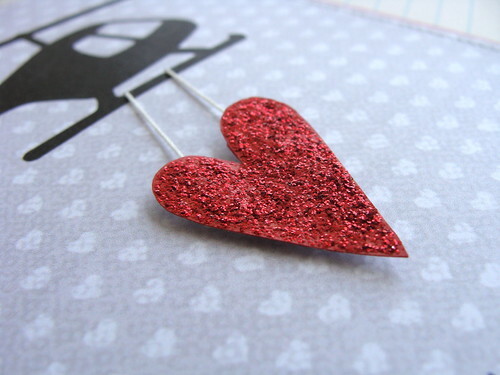 Love your design, glittery heart and perfect sentiment! This is so darned CUTE!!! eeeekkkk this is totally adorable! Love the design! Love this flying heart! SOOO CUTE! What an adorable card. Love it.